Busy, busy week I've had. I took Friday off to study for a test that I have on Monday (work related). Tried to study this weekend but I kept finding other things to do - laundry, put up our new Christmas tree (we got it for Christmas last year), clean... Next weekend is get out all the Christmas decorations and decorate the tree and house. I'm starting to get into the Christmas spirit (especially when I get an email from Gap - 50% off regular price stuff...love online Christmas shopping). Nothing terribly exciting in ways of meals this week I'm afraid. This first one was probably the best out of the bunch: beef enchiladas. Isabella devoured this one. I didn't make it as spicy as the recipe or else the kids would have complained. 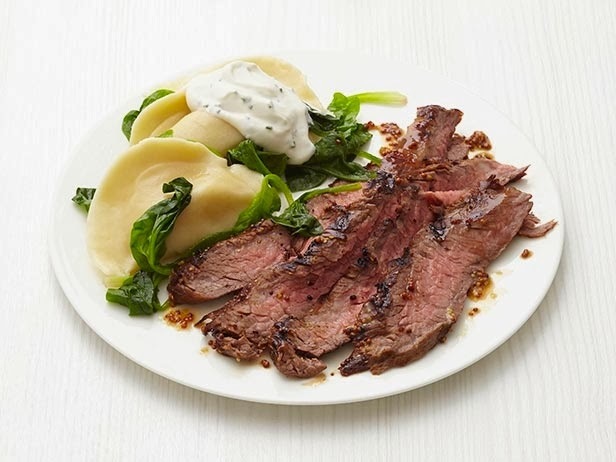 Next best dish was steak and pierogies. Simple and yummy because I LOOOOOVE steak. 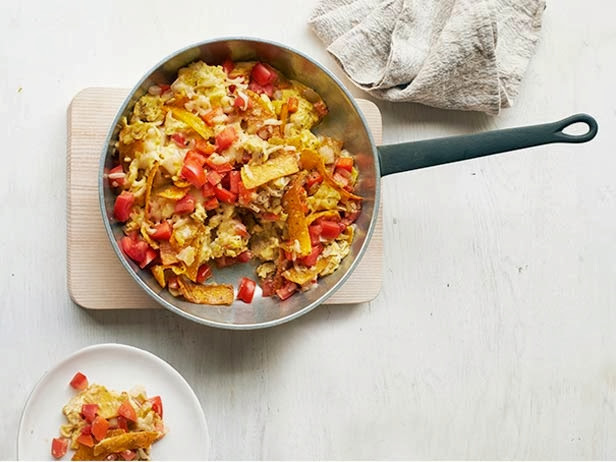 Lastly, I tried this San Antonio Migas recipe. I accidentally opened a can of chipotle chilies in adobo instead of green chilies so I used them instead. It was alright. Nothing special...would have been better had I used the right ingredients. LOL! It's real cold outside today so I am itching to spend the afternoon baking. Got some ripe bananas and for some reason, an over-abundance of frozen blueberries. 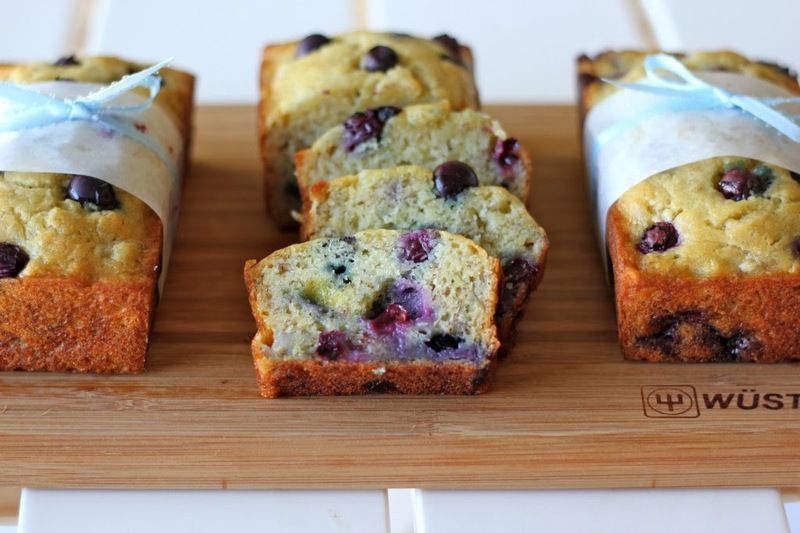 Gonna try these buttermilk banana blueberry bread. 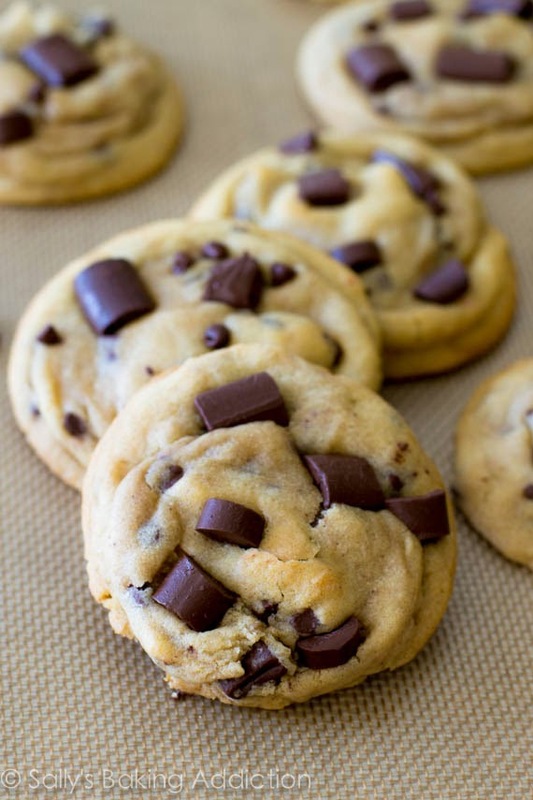 For some strange reason, I've had chocolate chip cookies on the brain. Trying this recipe. I'm looking forward to having two weeks off at Christmas. I want to bake lots - and using ingredients like peanut butter and nutella, which I have to avoid during school days since the kids can't take that stuff to school. 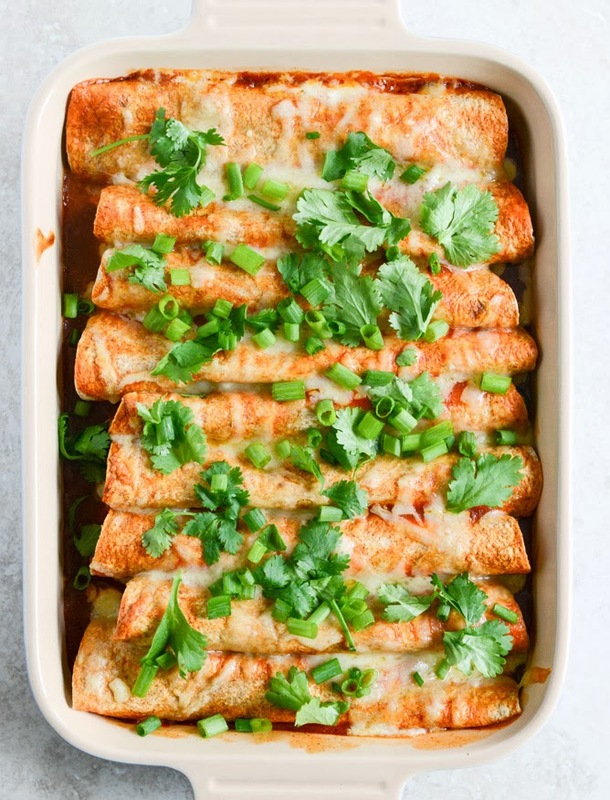 I LOVE anything mexican - especially enchiladas. Mexican is Isabella's fav too so I know at least one kid is going to eat well! LOL! So fun to see them here! 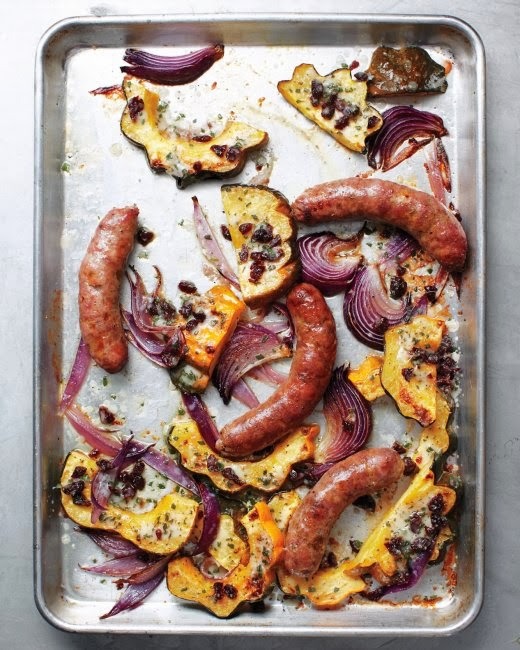 I might have to try that Jena as I have never tried brats before (not sure why but I'll take your word for it). Thanks!